And now Rupkey’s parents, Kevin and Pam Rupkey, allege in the lawsuit that the resort that hosted the birthday party, the Four Seasons Resort and Club Dallas at Las Colinas, and the bartender who served their daughter, who was 29, broke the law by serving her an excessive amount of alcohol. They filed their original petition in Rupkey v. Ex Dallas LLC in Dallas County’s 193rd Civil District Court on March 21. Brogdon, a partner at Crain Lewis Brogdon in Dallas, explained that most people black out when their blood alcohol reaches 0.2, lose consciousness at 0.3, and start dying at 0.4. Autumn Rupkey might have had heightened alcohol tolerance, but there’s no defense under the law to have overserved her by that much, he said. “It appears she would have had to have had something in the neighborhood of 17 alcoholic drinks,” Brogdon said. The Rupkeys are suing Ex Dallas, which does business as the Four Seasons, and Martin Mora, who is a Four Seasons bartender. 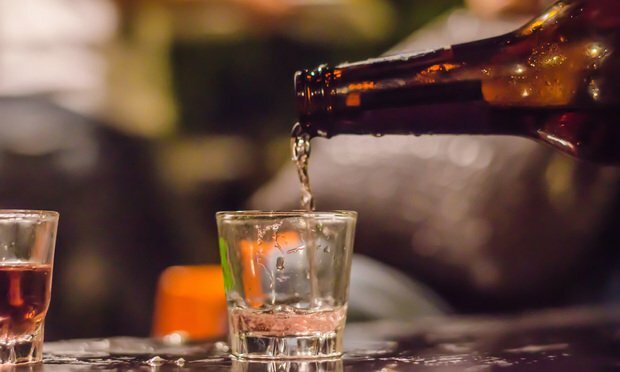 The complaint said the defendants had a duty to monitor and limit the amount of alcohol they served to guests, and ensure they did not overserve. Instead, it claimed they overserved Autumn Rupkey to the point she fell down and had to be taken to her room, where she died later. The defendants should have known she was so intoxicated she was a danger to herself and others, the plaintiffs claimed, adding that these actions amounted to negligence and violated the Texas Alcoholic Beverage Code. “The Saturday evening of the party was supposed to be a dream come true for the Rupkey family—a celebratory evening with close family and friends that would be cherished forever. Instead, defendants’ overservice of a lethal amount of alcohol to Autumn Rupkey turned the evening into a nightmare,” said the complaint, noting that from that day, Kevin Rupkey’s birthday would also be the anniversary of his daughter’s death. The Rupkeys are suing for dram shop and negligence. They’re seeking to recover damages for Autumn Rupkey’s mental anguish and physical pain before her death, wrongful death damages for Kevin and Pam Rupkey losing their daughter, exemplary damages against the Four Seasons defendants, costs and pre- and post-judgment interest. Four Seasons spokeswoman Vail Tolbert emailed a statement saying the hotel sent its deepest sympathies to the Rupkey family for their daughter’s tragic loss. “This matter was thoroughly investigated by the Irving Police Department who in consultation with the Dallas District Attorney’s Office, determined there was no wrongdoing on the part of the Four Seasons,” the hotel said in the statement. According to a Fox4News.com article, hotel staff told police they stopped serving Autumn Rupkey when she showed signs of intoxication. A telephone number listed in public records for Mora, the bartender, was disconnected.